We are honored to announce the newly created Ursula Landsrath Animal Rescue Fund (ULARF). Ursula Landsrath founded the Animal Rescue Fund of Virginia almost ten years ago, raising and distributing more than $1 million to Virginia-based animal rescue organizations. 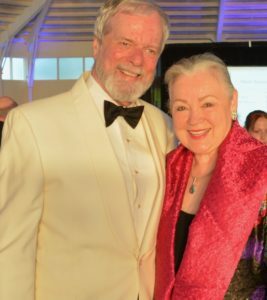 Ursula passed away in January 2019; Ursula’s husband, Ken Rietz, created ULARF in memory of Ursula’s outstanding work. Additional contributions can made to ULARF by sending checks to the Community Foundation at PO Box 402, Middleburg, VA 20118 or at https://communityfoundationlf.org/landsrath. Information about ULARF and grant applications are available at https://communityfoundationlf.org/grant-seekers/. For more information contact Nicole Acosta, Director of Grants and Nonprofit Programs at the Community Foundation at (703) 779-3505, X3.